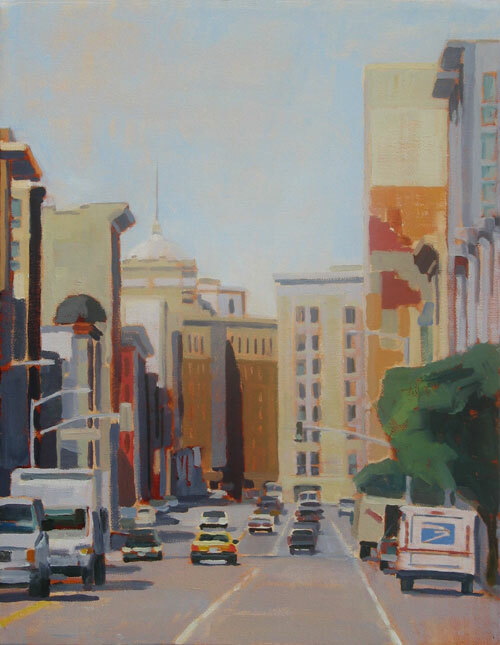 6th Street is a busy thoroughfare in San Francisco. In the distance is the Golden Gate Theater on Market Street. The Golden Gate Theater opened its doors in 1922 as a vaudeville venue and was restored and reopened in the late 1970s. 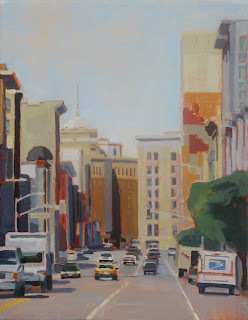 The composition was interesting for me, because the buildings on Market Street come in at an angle to 6th Street. The perspective of the buildings was a challenge.